We have always enjoyed Bible stories from the old and new testaments. There are several ways that you can use them in your homeschool. We read from picture Bibles when our children were babies and preschoolers. When my children were first learning to read we used a phonics reader based on bible stories. My children also used the Bible for copy work. Besides reading the stories to your child there are many opportunities to use the Old Testament for homeschooling. When you read the story of creation you can also observe nature. Look at different animals, birds, plants, and the stars. When you read about the Tower of Babel learn to say hello in different languages. There are several stories that take place in Egypt. Have your child learn more about ancient Egypt. You can also read the New Testament for history. When you are studying the Gospels and Acts study more about the Romans. You can also study about Greek thought. Teach the meaning of passages when you are reading about the parables of Jesus. Bible stories can also be used to teach character. Think about the different people in each story. Look for different character traits such as who was faithful, truthful, and helpful. Also look at stories that have to do with forgiveness. 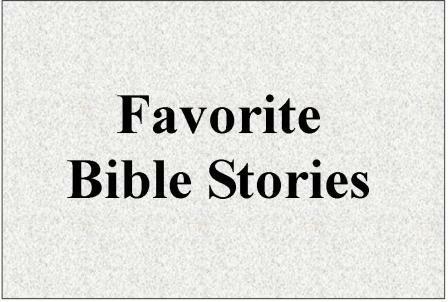 I hope that you like my list of Bible stories and will use them in your homeschool.